Milo Ventimiglia joined his cast at SXSW in reflecting on the massive success of This Is Us. So far, he said, his one concern is that is that the show "gets kicked in the teeth at every awards show we've been to." So when the cast did win a SAG Award for outstanding performance at an ensemble, Ventimiglia and Mandy Moore took their trophies to a 3D printing store to make six replicas for the show's child stars. "It wasn't the real statue but also, from mom and dad, wanted them to know hey, we love you guys and you should have a representation siting on your mantel," said Ventimiglia, with Moore adding, "You're just as much a part of this as everybody else." 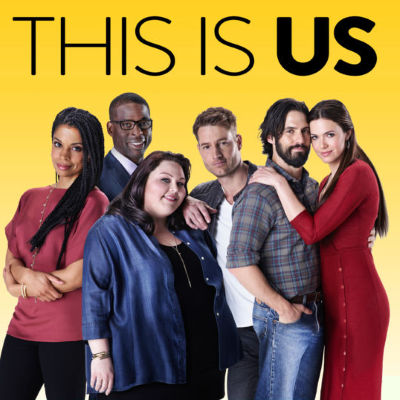 Mandy Moore: "I’m really proud to be part of a show that is so inclusive, during such a divisive time in this country"
Susan Kelechi Watson: "It’s nice to have these episodes where it’s, not necessarily lighter, but it’s happier. It’s joyful"
Ventimiglia hopes fans seeing Old Man Jack in his 70s will "maybe soften the blow a little bit"